Jean A. LaBarr, 87, of Lutherville, MD, formerly of Morris, died suddenly on Sunday, November 25, 2018 at the University of Maryland Medical Center in Baltimore. Jean was born on April 25, 1931 in Wellsboro, the daughter of the late Homer and Faye (Winder) Root. She was the wife of the late Donald H. LaBarr who preceded her in death on August 16, 1997. Jean was a graduate of Wellsboro High School in 1948 and worked for Taynton Trucking Company, Wellsboro, for over 15 years until she retired in 1985. She was a member and active participant of the Morris United Methodist Church. Jean shared her God given talent by being the organist for more than 50 years. 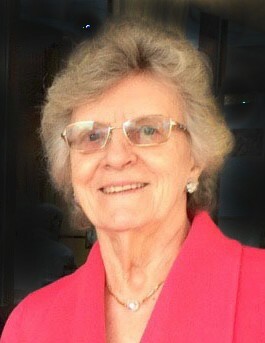 In addition she served as a Sunday school teacher and treasurer for many years. Jean’s life centered and revolved around her love for God, her family and her friends. She will be lovingly remembered and missed by her daughter, Cheryl Bastinelli of Lutherville, MD; son-in-law, Rick Bastinelli; three granddaughters: Adrienne Bastinelli, Ashley Bastinelli, Alyson Zagorsky, her husband Eric and great-granddog Tucker. A memorial service will be held at the Morris United Methodist Church on Monday, December 3, 2018 at 1pm. A second memorial service will take place on Friday, December 7, 2018, 12:30 p.m., at the Grace Fellowship Church in Timonium, MD. A private burial will be held at Mt. Pleasant Cemetery in Morris. In lieu of flowers, we would ask that you plan a special time with your family in her honor. Arrangements have been entrusted to the Tussey-Mosher Funeral Home, Ltd.139 Main St., Wellsboro.